Teaming up with sports based apparel brand Paul & Shark Moritz Waldemeyer has created Blue Typhoon for their Brera, Milano showroom. 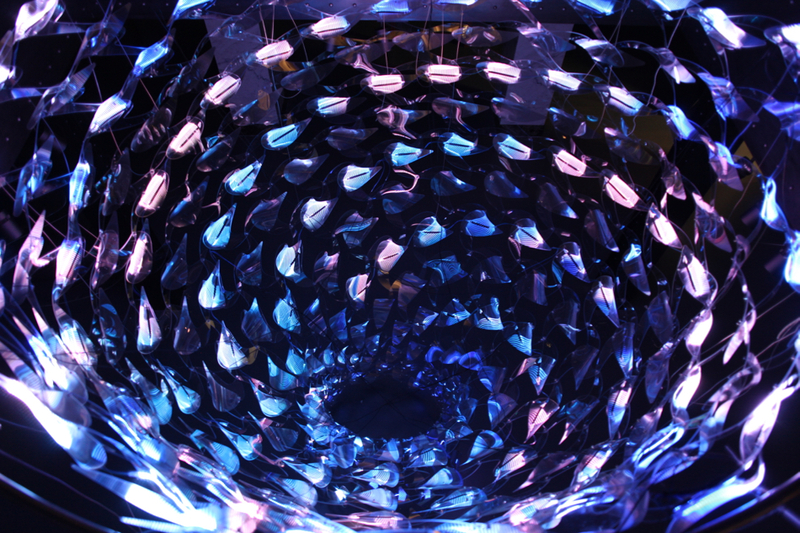 Displayed throughout the Salone del Mobile 2015, Blue typhoon combines the main theme that runs through Paul & Shark’s collections, Water, and combines it with light to build a large scale light sculpture. 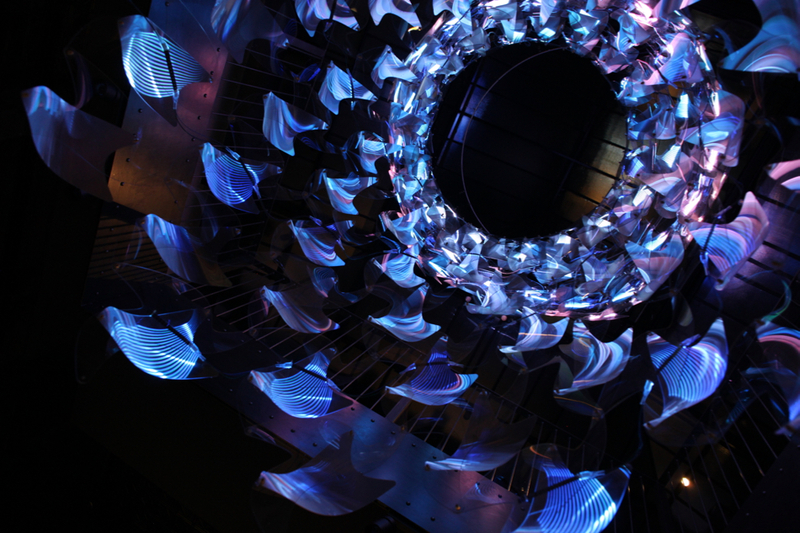 Suspended from the skylight, Blue Typhoon cascades down through the central atrium of the showroom to the basement level. Constructed of stylised waves cut from clear perspex in a graduating cylindrical shape, lenticular material covers the strips of LED’s distorting the light and causing dramatic yet beautiful water like effects. 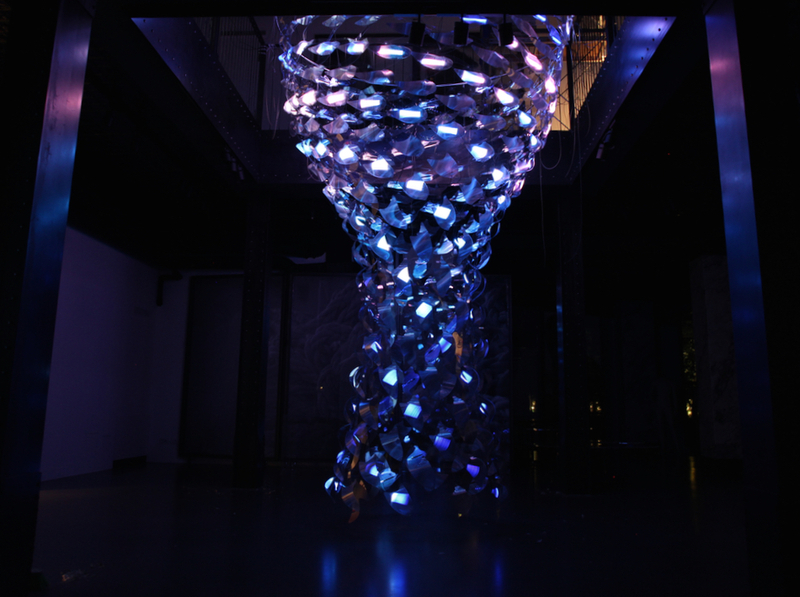 Subtle animations running through the LED’s give the installation the appearance of movement and fluidity throughout the installation. placed over two floors the installation provided a multitude of viewing points, looking up and peering through the eye of the typhoon or viewing it from the side and seeing the individual shapes and sizes of the wave like pieces. This entry was posted on Monday, April 27th, 2015 at 4:41 pm. It is filed under ALL PROJECTS, LIGHT DESIGN. You can follow any responses to this entry through the RSS 2.0 feed.